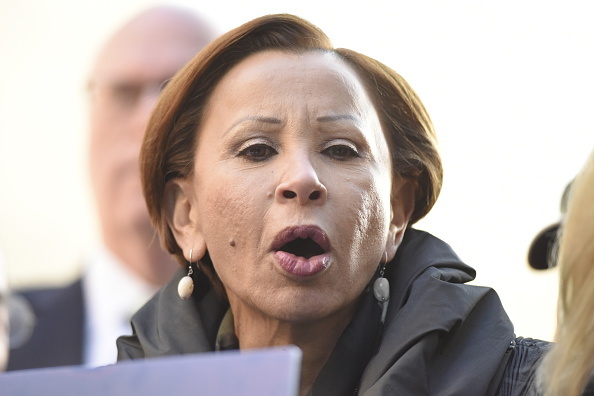 After 13-term Congresswoman Nydia Velázquez, who is a Puerto Rican immigrant ran a campaign that emphasized the needs of the working poor and Latino immigrants, she has now come under fire for making threats against a Conservative youth! Velázquez won the 2016 election, securing another term, as she received the support and endorsement of Democratic Socialists of America, a Marxist political organization in the United States! Velázquez’s voting record shows that she votes strictly along Democratic party lines, and has waged war on private industry and businesses! She has even claimed to be an advocate against bullying. However, if her comments on Twitter are any indication of her idealism, she appears to be more of a bully, than an advocate against! To date, racist and vile hate, as well as threats of harm have rained down from the Marxists in Hollywood, the Mainstream Media, and even Congressional Democrats! For example, All of the above parties threatened the lives of Covington Catholic High School children not because they did any wrong, but because they were White Christian #MAGA Trump supporters! Also, Congressman Eric Swalwell (D-CA) said that the government would nuke gun owners, Congresswoman Maxine Waters (D-CA) called for Trump supporters to be chased out of restaurants, gas stations, and stores, and now, Congresswoman Nydia Velázquez (D-NY) has threatened a black teenage conservative by the name of CJ Pearson. Sadly, as the Democrat Party sinks into the abyss of hate and racism, it is getting harder to differentiate the Democrats from the domestic terrorist organization Antifa, and the Ku Klux Klan! Within a few hours, Velázquez had only 921 people liking her tweet, with around 5,000 excoriating her for her hate and a blatant threat to a child! Then, the teen responded with class, bravery, and true American Patriotism!